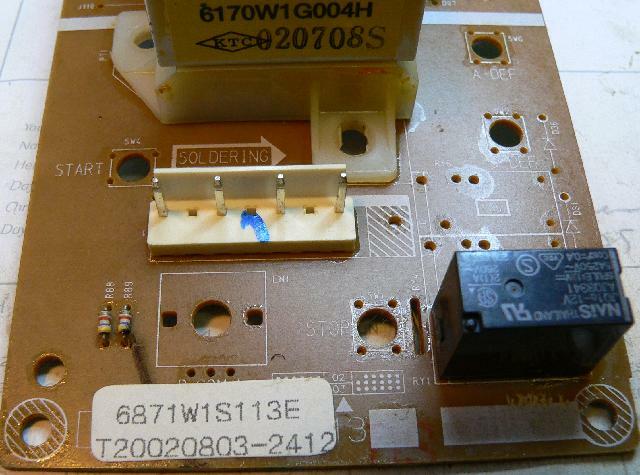 This is the 6871W1S113E control board from our LG MG-604W microwave. 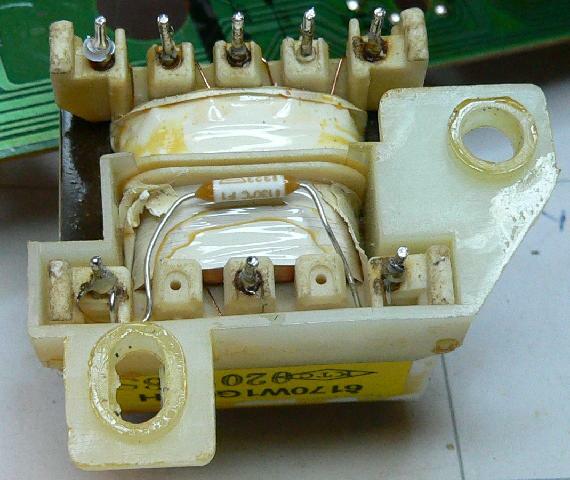 The transformer primary went open circuit when the supply hit 300V or thereabouts. 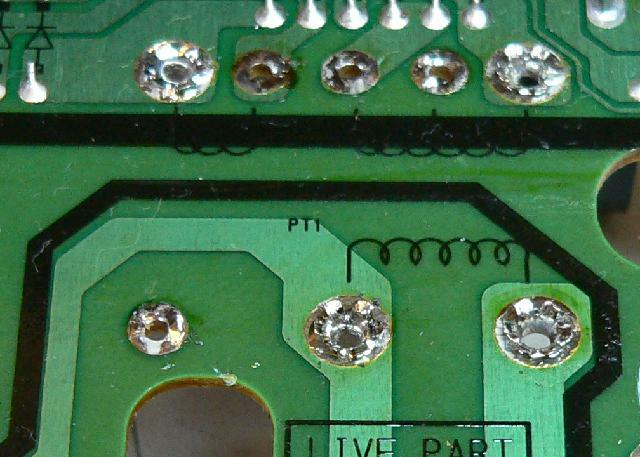 I know that these things often incorporate some kind of protection circuitry, so I desoldered the transformer. Sure enough, it’s a 1A 130C fuse. Fixed (yea, this solution doesn’t have thermal protection. I can live with it). 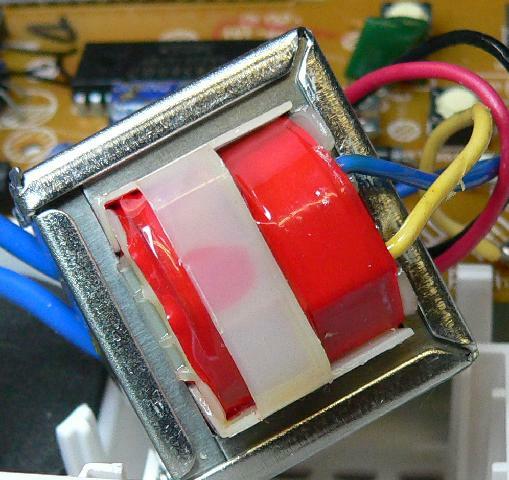 Of course, now that I know the layout I know that one can add a fuse or a jumper to the PCB without having to desolder the transformer. Again, you’ll lose thermal protection. 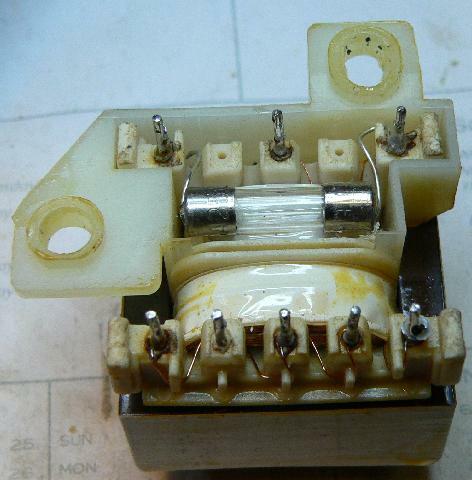 The transformer primary is between the left and middle pins, and the fuse runs from the righthand pin to the lefthand pin. I was not so lucky with the Sakyno SK-1000 clock radio. 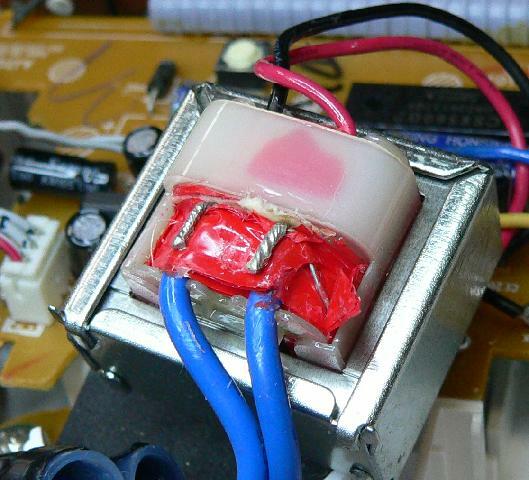 In this case the transformer primary was the protection device, and the magic smoke leaked out. 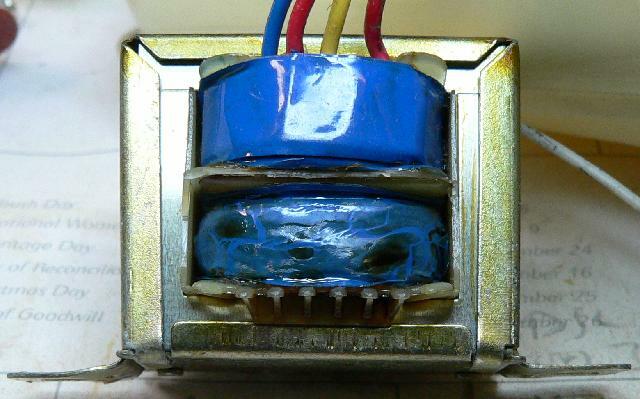 The Philips AJ3121 clock radio transformer has a fuse as well, the wire leading down on the right hand side goes over to the other side, where there’s a square 125C thermal fuse wrapped up against the winding. It’s at the left hand side under the red tape under the plastic. Unfortunately I stuffed it up, I jiggled the wire too much and the primary winding, which is cat-hair-thin, broke off from the fuse lead. I tried resoldering it but it’s just too finicky. So we bought two new clock radios. But at least the microwave works.